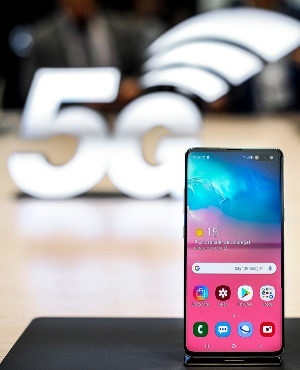 On Wednesday the South Korea became the first country to commercially launch nationwide 5G services, with three superfast networks going live offering data speeds that allow users to download entire movies in less than a second. South Korea's three mobile carriers - SK Telecom, KT and LG Uplus - held launch events across Seoul for the Galaxy S10, whose base version costs $1 200. It is expected to bring about $565bn in global economic benefits by 2034, according to the London-based Global System for Mobile Communications, an industry alliance. Chinese entities own a total of 3 400 5G patents - more than a third of the total, according to data analysis firm IPlytics - with 1 529 of those registered by Huawei.